3 Potential Destinations For 29 Y/O Everton Forward Including Huddersfield Town And Stoke City! Everton are looking to seal the capture of Brazil under-23 star Malcom Oliveira from Ligue 1 side FC Girondins de Bordeaux this summer. The new Toffees boss Marco Silva is trying his level best to implement a new system of play at Everton and is understood Yannick Bolasie is deemed surplus to requirements. Wilfried Zaha was the first preference of Silva but now faces a challenge on acquiring the services of the Ivorian winger, and has left the Everton boss annoyed at the difficulty in making the deal a successful one. This has led to Everton stepping up their pursuit of Malcom. A contract worth £80,000 a week, on a five-year deal is said to be placed on the table for the Brazilian. The deal is likely to cost Everton £30m and the Toffees will want to balance their books by allowing the departure of Bolasie. With Malcom’s arrival, Bolasie’s place in the pecking order will drop even further. Everton are looking to loan him out to Turkish club Fenerbahce. However, the 29-year-old is settled in the UK with his family and not keen to relocate to Turkey. He still has three years left on a lucrative contract at Everton after being signed in 2016 from Palace by the then Everton boss Ronald Koeman. Bolasie suffered a torn meniscus and cruciate ligament which kept him out of the team and he now looks towards working his way back into full fitness. 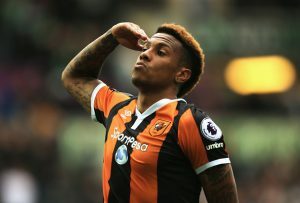 The Merseyside outfit will have to look for potential suitors to accommodate the winger and give him the game time he so desperately desires. A move to fellow Premier League club Huddersfield Town will be a viable option as their manager David Wagner is keen to shore up his squad and a player of Bolasie’s experience will be welcomed with open arms at the Kirklees Stadium. Chelsea legend Frank Lampard has begun his reign as manager at Derby County and is looking for further additions to make to his squad after suffering a 3-1 defeat to Mansfield Town in their pre-season friendly clash. The defeat came as a wake-up call to the management and the team as they understand that the team does lack experience up front. It will be interesting to see if Frank is willing to spend money on a player who almost touching the 30-year mark and demands a high wage package. Premier League relegation victims Stoke City should try and make Bolasie a target as they have already lost out on Xherdan Shaqiri who has departed the club for Liverpool. Stoke are in need of a wide-man and Bolasie would fit into their system well. The Potters would also be able to afford his wage demands as they have cut loose their expenses towards Shaqiri. Read More: Experienced Aston Villa Defender Wanted By Stoke City: Can Bruce Afford To Lose Him? Yannick Bolasie must accept that his time at Goodison Park is drawing to a close. A player of his ability is quite capable of making an impact wherever he goes and perhaps a move away would do him a world of good to boost his fading self-confidence. 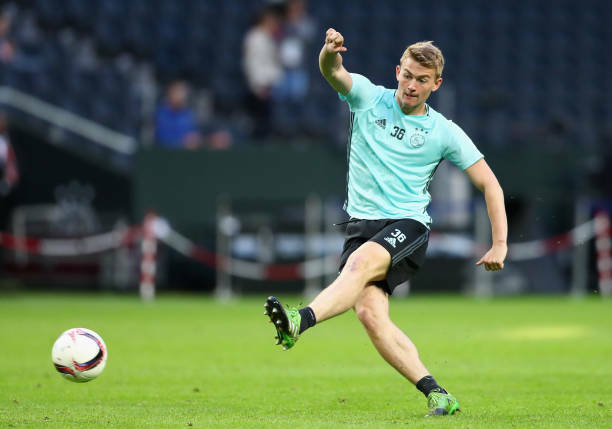 West Bromwich Albion Linked With Exciting European Striker: Is He Ready For The Championship? Everton Reignite Interest In £30m-Rated Celtic Star: Should Rodgers Hang On? West Brom Given Fair Shot At Landing This Derby County Forward: Can They Get Him? Derby County Closing In On 23 Y/O Leeds United Target: What Should Be Bielsa’s Play Here? 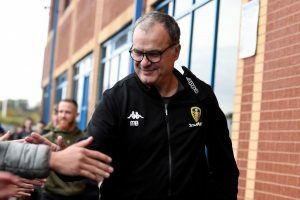 Dilemma For Bielsa In Filling Up This Position For Leeds United: This Is What Will Help Promotion To The Premier League! Watford Seal The Deal For This Exciting English Star: Can He Be The Game Changer For Silva?